How many times have you looked at yourself in the mirror and wished you could change a minor problem? 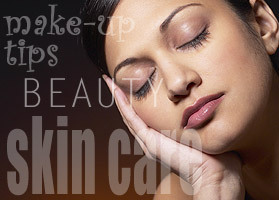 To look even more beautiful, here are five helpful & easy ways to achieve beauty secrets. Mix fresh orange juice, water, 1 tablespoon of honey, and any type of vegetable oil. Massage on to your hair. Apply lipstick and then lip-gloss. Add a dot of eye shadow in the center of your lips and blend carefully. You might also want to check out City Lips Collagen Lip Plumping Treatment. Kenia Morales is the publisher of online magazine http://kpatra.com "For Every Aspect of Today's Woman. Visit us to find a variety of women related issues and topics".